With the Autumnal Equinox right behind us and the promise of cool crisp days full of showers and the ever changing rainbow of Autumn leaves in our future it was most certainly time to embrace the season and bring a bit of Fall festivity into our home. As a child growing up off the grid we often spend time doing hand crafts and I think my Mom always took advantage of anything that would sit us down at the table and keep us occupied for a long while. 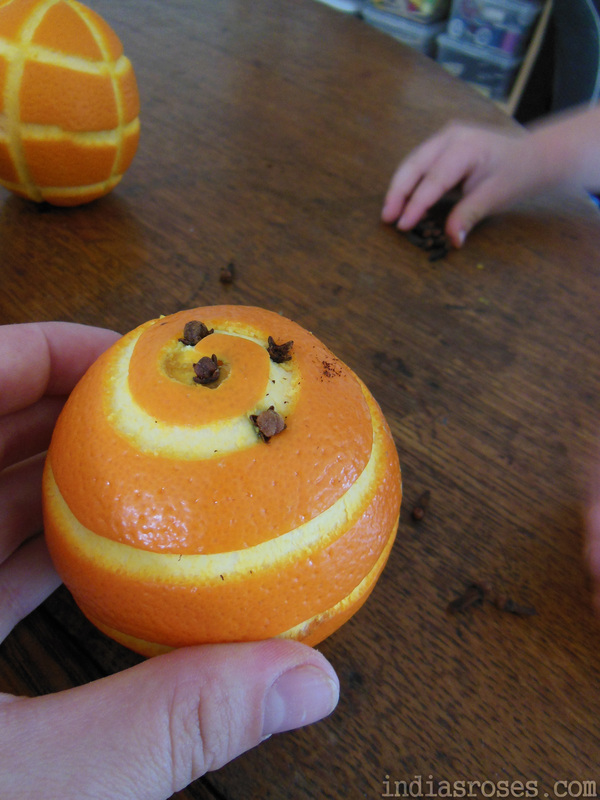 I remember making clove oranges every holiday season my entire life. 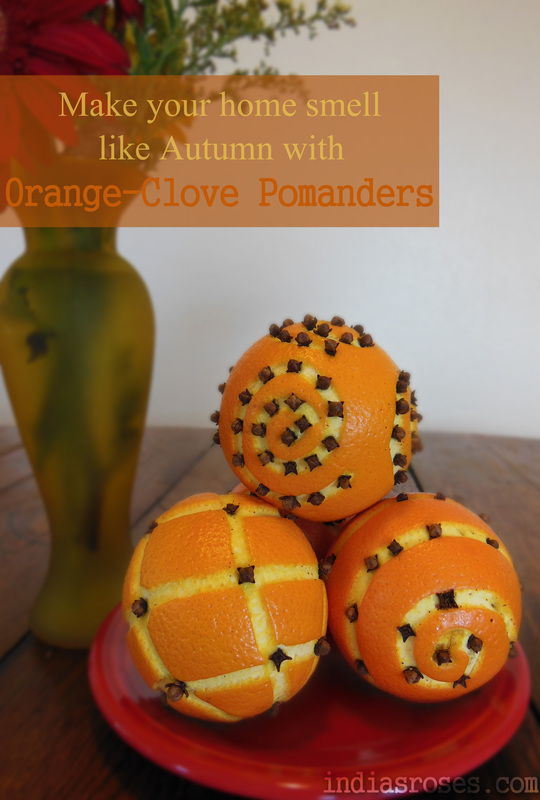 I’d sit down at the table with my brother and sister and we’d spend an afternoon covering every inch of orange with whole cloves. It smelled amazing and by the end of the afternoon we were sticky with citrus juice and rich with the smell of spice. Now years and years later I keep the tradition alive with my daughter and a little unconventional twist. 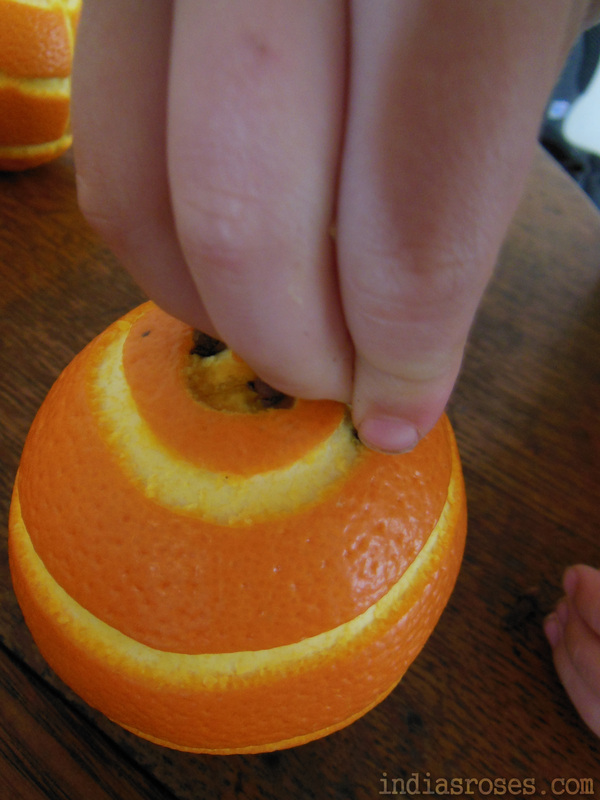 Instead of just filling oranges with cloves we went for a new spin and carved the peal away with a channel knife to create color contrast and soft orange flesh delicate enough for a 2 year old to puncture with a clove. I also used a quilting needle to pre-poke holes to make it extra easy for her little hands to accomplish the task. 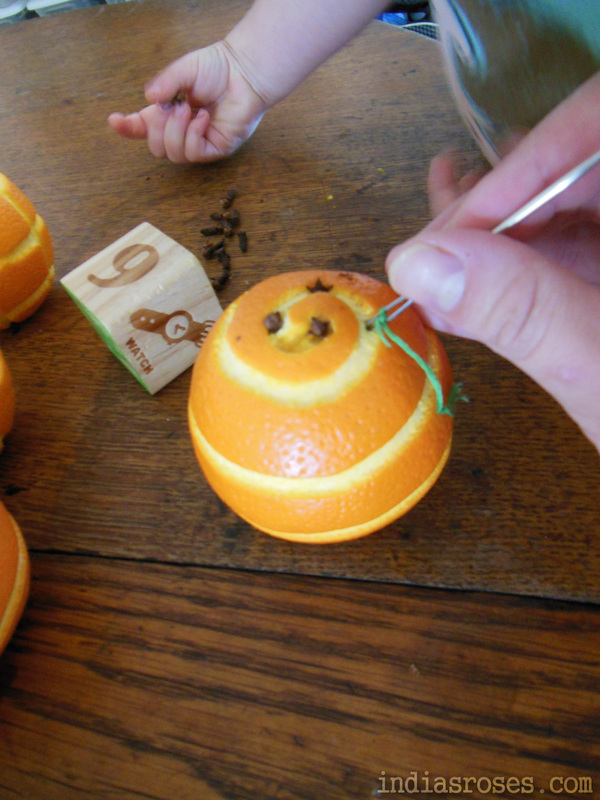 Once your pattern is all in place use your needle/nail to poke small holes in the orange where you’d like your cloves to go. If you’re working with a little one this is a great place for them to start helping and poking holes or directing you to where they would like their holes. Place a single whole clove in each hole and push down gentle until only the head remains. Thank you for reading and please feel free to comment and/or ask questions. So simple I highly recommend you do!